This is one of my favorite times of the year. Why? Because as quarter three draws to a close, companies will be looking at their marketing efforts over the past year, and making plans for 2017. As we all get ready to finish out the year, it is important to look at the SEO developments we have witnessed this year so we know where to head for next year. Before you go off making plans to ramp up or scale back on your digital marketing efforts, let’s explore the top SEO trends in 2017. Ask any SEO and they will tell you that the digital marketing landscape is changing almost continuously. Not only are online users constantly changing their web behavior and expectation of their online experience, but Google is also always making algorithm updates. With a large number of online experiences beginning with search, knowing the latest digital marketing practices as well as the top SEO trends in 2017 will help your business survive. If you are not already taking advantage of using schema markups, you are doing yourself and your company a disservice. I believe this will be one of the top SEO trends in 2017 as companies search to stand out from, and rank higher than their competitors. Schema markups make it easier for web browsers to understand the content on your website. Furthermore, schema gives Google the information it needs to be able to display rich snippets or quick answers. Examples of a Quick Answer, and a rich snippet. We’ve all seen various rich snippets while doing a Google search. These may include things like recipes, videos, television show and movie information, reviews, event information and more. Even if you don’t have these kinds of content on your site, you can always add the schema for your business. This would allow Google to show a Knowledge Panel for your business when someone is looking for you on the web. Google is displaying more and more Quick Answers on the SERP. In December 2014, Google was showing Quick Answers, or Rich Answers, for about 22 percent of queries. By January 2016, these snippets were shown over 40 percent of the time. And don’t forget the rise of voice search because schema markups are going to help Google find the answer to a user’s query on your website. The use of schema helps Google understand the purpose of your site, which will allow you to take advantage of this growing trend. Coupled with the fact that Google is becoming an Artificial Intelligence monster (which we will explore later), schema is a way for you to prepare your website for what the future of search holds. Now most of us are familiar with multi-channel marketing strategies. Do not confuse these because cross-channel marketing differs slightly. Multi-channel marketing campaigns are run at the same time in different channels, while cross-channel marketing is about integrating a campaign across multiple channels. It is much more difficult to assimilate the campaigns than to run them individually but marketers need to be prepared to learn how to execute these hybrid campaigns. Gone are the days of running a social media campaign, an email marketing campaign, and a PPC campaign all separately. Instead, you should be engaging your users across every channel and device, while still serving them the same user experience whether they enter your site via organic search, PPC, social media, or any other way. As one of the top SEO trends in 2017, SEO’s will need to master campaign experimentation methods, like A/B testing for example. They also need to be able to make changes to the campaign based on insight gathered from campaign analytics. This year we have seen Google trying out some changes to the SERP. Search results are no longer the simple page containing ten links. There are rich snippets, knowledge panels, social posts, and ads galore! In an attempt to create the best user experience, Google has been experimenting with some changes to the results page. We saw Google experiment with a longer left-container width, resulting in longer page titles. This was a 17 percent increase from 512px to 600px. We have also seen Google breaking titles at whole words rather than breaking at whatever cutoff point in the title. Another thing we have seen is Google testing adding brand names to the ends of the title on the SERP. 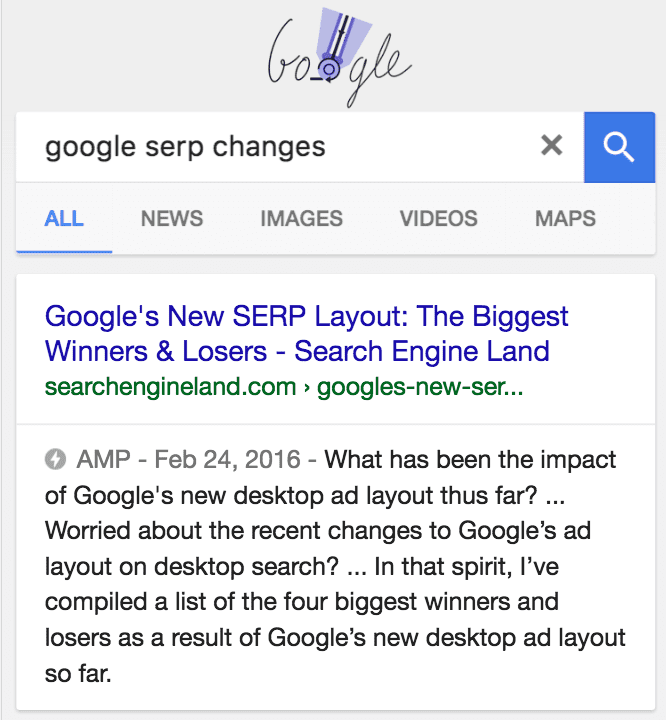 Google has eliminated the right-hand column of ads, moving them to the bottom of the page, and added AMP articles on the top of mobile search pages. What do all of these changes mean? There is less organic real estate for the taking. Companies will have to be more competitive than ever before to rank. The challenge here is that Google has not rolled out these changes for all sites or users, nor have they announced that these will be permanent changes. Until Google can decide what changes will remain, the best thing SEOs can do is to continue using your focal keywords near the beginning of your title, and inserting them in your meta description. If you are a company that has received the extra pixels, take advantage of the extra characters. In June of this year, Facebook announced a major algorithm change that will greatly affect marketers and publishers: they will be reducing the organic reach of businesses and publishers. I think this definitely will be one of the top SEO trends in 2017 because it will be a major blow to publishers who receive 40 percent of their traffic from Facebook alone. And with Facebook being the social media leader, you can fully expect that the other social sites will follow suit soon. Expect social media organic reach and ROI to decrease as the cost of paid social ads rises. This is being done in favor of the individual user experience. Facebook fears that users are not able to connect with friends and family because of all the publisher and business content, so the social giant will now be prioritizing posts shared by friends and family members. How is this going to affect your digital marketing strategy? Publishers and business can expect to see their organic reach and ROI decline. Publishers can expect to not only utilize more social paid ads but also pay more for these ads. As more companies fight to get their content in front of users, with a limited number of ad spots, costs will rise. Since the introduction of modern smartphones nearly a decade ago, users prefer an app-based experience more and more. This means that in a matter of years, perhaps 5 to 10, we can expect to see the end of websites as we know them now. Google is pushing this trend by providing search features for apps and app users with their App Streaming. Basically, Google will show you what you’re looking for within an app, but you aren’t required to download the app. This allows you to seamlessly move between apps and the web. While this isn’t yet ready to be rolled out to the masses, you can surely expect that other marketing will be jumping on the app streaming bandwagon. How can SEOs make sure their companies take advantage of this trend? Create an app that can deliver content from your website. Get yourself ahead of the game so that when app streaming goes mainstream, you are already prepared to integrate it into your marketing campaigns. For starters, just 6 days ago, Google announced that Penguin is now a part of their core algorithm. Not only that, but it is now real-time, meaning changes you make to you site to rank better will be visible faster than in the past. You no longer have to wait for the next Penguin refresh to see ranking changes. Last year, Google also released RankBrain, which is a machine-learning AI system as part of its algorithm. It will help to interpret the intent and meaning of search queries so that it can find relevant web pages that don’t necessarily have the exact words searched. RankBrain is now the third-most important single signal for ranking web pages. Google is starting on this self-updating AI journey, so you should expect that it could only mean that the data giant has much larger plans still yet to come. What does this mean for SEOs? It will be absolutely critical that you follow best SEO practices and avoid any type of Black Hat SEO tactics. We are no longer going to see companies using suspect SEO methods and be rewarded with higher rankings until Google’s next update. I predict it’s only a matter of time until Google will be able to detect faulty practices and punish website in real-time. I think that utilizing Google’s Accelerated Mobile Pages (AMP) will definitely be one of the most important top SEO trends in 2017. Note the lightning bolt icon that shows users that there is an AMP article available. This month, Google rolled out AMP globally. These articles speed up load time by taking away all the extras on a website. With the ever-growing emphasis on mobile, expect to see the use of AMP surge in 2017. While Google has said this will not affect rankings, these articles do appear before all organic listings on mobile. This means that if your AMP article appears, you are essentially ranking at position zero on the SERP. As users get more and more fed up with publisher ads and poor web experiences, they will be reading more AMP articles. For digital marketers wanting an edge, now is the perfect time to implement the use of AMP articles. When you’re going into your marketing planning meetings as you gear for next year, keep these trends in mind. If you pay attention to these top SEO trends in 2017, you will put yourself in a prime position to have a successful year in digital marketing. As the digital marketing landscape continues to shift and change, be sure that you are taking steps to future-proof your online presence. What trends will you be keeping an eye on in 2017? What steps are you taking to make sure you can benefit from the changing digital marketing landscape? It’s that time of year folks. A time where friends are lost and enemies are made. I’m talking about the Dungeons and Dragons for jocks. Fantasy football. Here at Track5, we’ve decided to do things a little differently. Since some of us aren’t the biggest of football fans, we’ve created our own fantasy league, the SFL. The Startup Fantasy League is comprised of the most promising startups of the past few years. Things got very heated during the draft, but here are a few highlights, and key startups for you to keep an eye on in the near future. A consensus first round pick, Medium is looking to rival WordPress to become the go-to publishing website. Hell-bent on changing the way people communicate, Medium has become a free-reign outlet for anyone to use including celebrities, athletes, and of course, you and me. The company is so highly touted because of its versatility. Is it a news source? Is it a social media platform? Is it a creative writing forum? The answer is yes – and as more and more creative minds continue to flock to the website, expect Medium to grow larger and larger in the near future. Created by two former NBC News producers, theSkimm has gone from just another email newsletter, to the main source of news for nearly 2 million subscribers and a top startup. Designed for those who need to consume their news on-the-go, theSkimm summarizes articles from major news outlets and gives the option to read the entire article if the reader chooses to. Known for their satirical humor, theSkimm has been popular among college students looking to stay up on current events in between classes. It’s no surprise theSkimm easily cracked the top ten in our Startup Fantasy League. One of the biggest gambles in this year’s draft was the selection of OTTO, a tech company intent on bringing driverless vehicles into the trucking industry. One of the youngest companies in the draft, OTTO’s inexperience might actually be a blessing in the disguise. Founded by former Google employees, the product was actually introduced on Medium this past January. OTTO states, “At the heart of our vision is the belief that self-driving tech is the key for creating a more sustainable, productive — and above all, safer — transportation future.” This young and ambitious company could either be a draft bust, or one of the most innovative startups in the past decade. 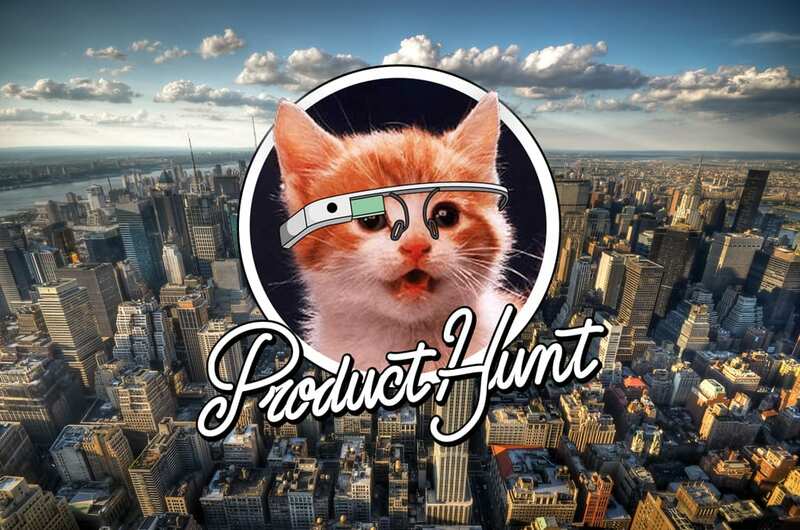 One of the most talked about companies to crack our top startups list, Product Hunt is a paradise for nerds. According to the company, “It’s a place for product-loving enthusiasts to share and geek out about the latest mobile apps, websites, hardware projects, and tech creations. 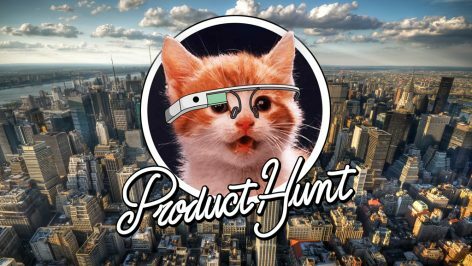 The site allows tech lovers to discuss, browse, and purchase their favorite tech products as Product hunt curates a feed designed specifically for you. Will this draft darling live up to the hype as one of the top startups? Only time will tell. Arguably the biggest “sleeper” in the draft, Truebill is looking to help you keep track of those pesky subscriptions and other reoccurring charges. One of our top startups, the company uses data mining to figure out which subscriptions and reoccurring charges deemed unnecessary. Still getting charged or the Amazon Prime account you never use? Truebill will catch it. This top startup could save you hundreds, snagging those unwanted charges. Although social media hasn’t existed all that long, this hasn’t stopped it from affecting our emotions. Researchers at McMaster University claim that a new study shows a link between excessive social media usage and mental health issues. Their research suggests that internet addiction has a stronger influence than previously thought. Internet use may have significant effects on our mental health. When it comes to mental health, we’ve definitely come a long way. However, our digital age presents new ways of coping with the constant influx of information that we’re only starting to understand now. 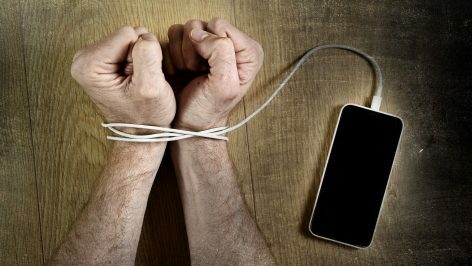 Internet Addiction, Mental Health, and You! Surprisingly, the Internet Addiction Test (IAT) was developed back in 1998 for a previous study surveying 254 students at the University of Hamilton. Now, the recent study led by chief researcher, Michael Van Ameringen has expanded the discussion using a newer scale design to include modern social media platforms and features. Screening positive on the IAT and the researchers’ new scale, participants were deemed to have more difficulty dealing with their day-to-day activities. 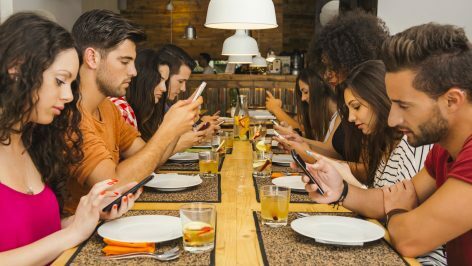 This is to say that the everyday tasks associated with life at home, work, school… really anywhere requiring sociability is a bit more problematic for people affected by problematic internet use. Social interactions are taking place online more than ever before. The results of the study showed that 56% of university students had a difficult time controlling their use of video streaming websites, 48% percent couldn’t control their social media use, and 29% had trouble avoiding instant messaging apps. Notably, 42% were facing mental health problems as either a direct or indirect result of their over-use of the internet. “We were concerned that the IAT questionnaire may not have been picking up on problematic modern internet use, or showing up false positives for people who were simply using the internet rather than being over-reliant on it,” said Ameringen. Other studies have shown social media to be addictive in and of itself. It was found that 63% of Americans compulsively log onto Facebook daily, serving two basic purposes: distraction and relief from boredom. With “likes” and comments acting as positive reinforcement, our brains can actually become rewired in a sense, making it hard to stop! Not only does social media get us hooked on digital affirmations, but is also has the ability to cause our self-esteem to suffer. Really, it’s no mystery that social media displays things in their idealized form – hence its continued usage in digital marketing – but that isn’t always healthy for people, especially adolescents. Since the rise of anonymous chat rooms, forums, and social media in general, cyberbullying has become an enormous concern for our digitized youth. A survey conducted by internet safety organization, Enough is Enough found that 95% of teenagers who use social media have witnessed cyberbullying, with 33% having been victims themselves. Another study at the University of Michigan analyzed data from Facebook users and how their use of the site correlated with their moods. Overall, avid users reported lower satisfaction with their lives in general, due to things like the “fear of missing out” and by comparing themselves to others. Now, before this post starts to depress you in some sort of self-fulfilling prophecy, it’s important to note the positive things we’ve seen and can expect from social media. Maybe you recall the story of the #dancingman last year – basically, when some cyberbullies posted pictures of Sean O’Brien dancing with a nasty caption after publically body-shaming him, a group of women from L.A. invited him to Hollywood for the dance party of a lifetime. Using social media, the event went viral to raise over $40,000 complete with celebrity endorsements and plenty of money going toward anti-cyberbullying charities. Pictured: O’Brien in Los Angeles during his own personal dance party. So that’s positive, right? Other research has provided evidence for introverted adolescents actually gaining social skills by using social media. This is partly because they feel much safer behind a screen where there’s less room for error, even though writing is only one aspect of human communication. Dr. Larry D. Rosen who presented the findings also showed how those teens were able to express empathy on a consistent basis. Clearly, social media is something that is as helpful as we make it, although we’re still feeling the growing pains of this young communicative format. And while it seems that mental health finds a new enemy all the time, the ability to stay connected may eventually prove to be our greatest ally on the digital front. Yesterday I had the privilege and honor of getting to speak at the Insight Lancaster Marketing Conference. It was the first full-day marketing event of its kind here in Lancaster, and it was my first marketing speaking engagement. It was a day full of marketing information and keynotes from Kerry O’Shea Gorgone, and Mark Schaefer. Oliver, our fearless leader of Track5Media, and I spoke to the audience about search engine optimization. In our session, Leveraging SEO to Rank in a Competitive Market, we told attendees how they could use on-site and off-site SEO strategies to get their web pages to rank on Google. The slides are available at the bottom of this post if you missed it. For those of you that joined us at Insight Lancaster yesterday, I promised that I would post a blog further discussing some of the different marketing tools that we touched on during the presentation. Though there are some paid platforms on this list, most of them are absolutely free! One way that you can boost your SEO is to use schema markup. Schema markup is code that you put on your site to help tell search engines what your data means. 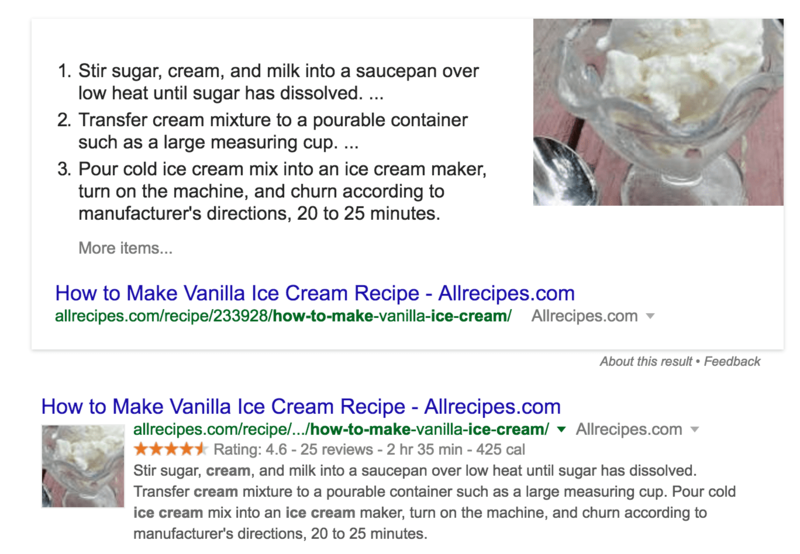 When you use schema markup, your data can be presented in rich snippets in Google’s search results. Rich snippets are visually appealing, show more information, and have higher click-through rates than the average search result listing. There are many different types of schemas you can use to mark up your site. At the very least, you can add your business information, which will help you rank better locally. Not only can you add your business address and hours of operation, you can add payment options, your logo, professional membership information, and more. There are schemas for product information, events, traveling, reservations and more. You can visit schema.org to view all the documentation and various markups you can use. If you look at that site and feel overwhelmed, fear not. Google provides a Structured Data Markup Helper tool that will help you markup your web pages. 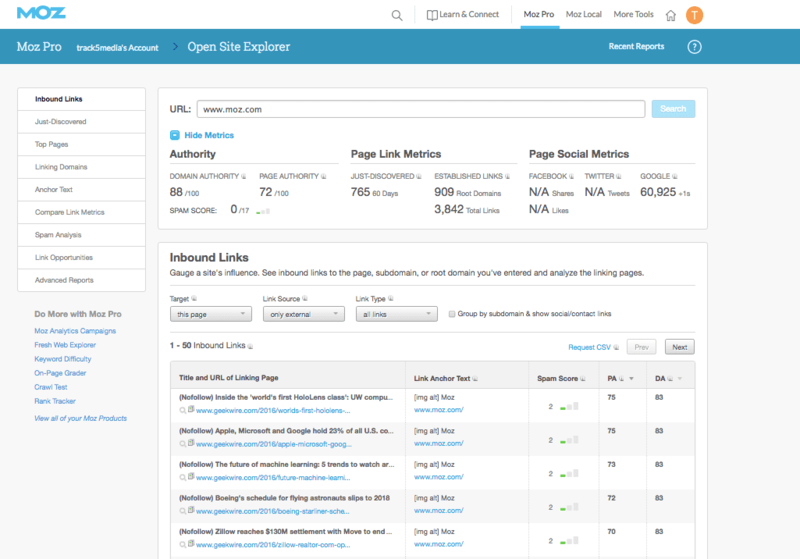 Open Site Explorer is a link research and backlink checker tool from Moz. During Insight Lancaster, we briefly mentioned this tool and how you can use it check your website’s link profile. Not only can you view your link profile, you can also view your competitors. This is beneficial for you because it can help you discover new linking opportunities. You will be able to access a large part of their filtering and comparison elements free, however, for reports and advanced features you will need to pay for a Moz Pro account. To use the tool, enter the URL of a website. When it loads, at the top of the page, you will see metrics for authority, page links, and social shares. Below you will be able to view inbound links to your site, as well as their domain, page, and scam scores. When you have Moz Pro, you will be able to export all of that data to a .csv file. There is also a link comparison tool. You can also compare link metrics between up to five different sites. This is beneficial to be able to see where you stack up against other competitors. Follower Wonk is a great tool for Twitter that you can use to find influencers and build you community. We discussed this tool at Insight Lancaster and gave you just a snapshot of its capabilities. 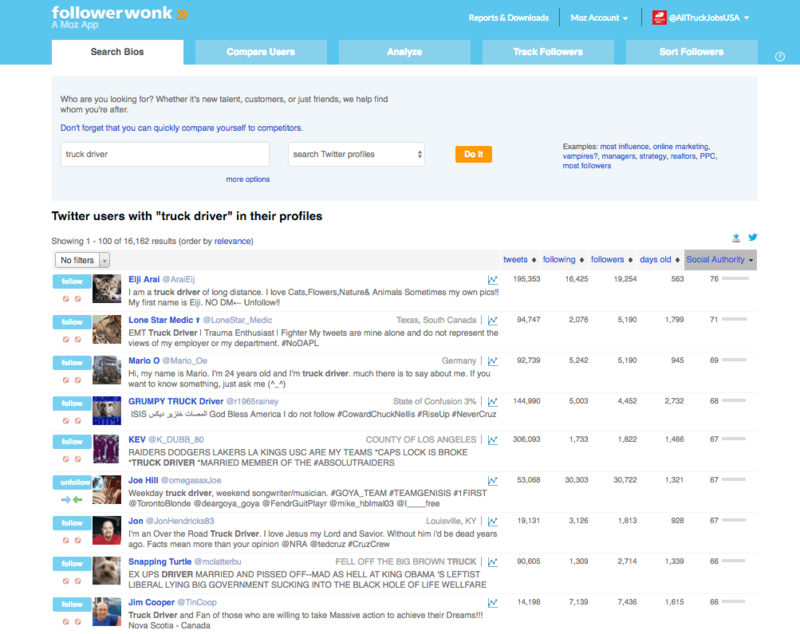 Use the Search Bios tab to search Twitter profiles and bios to find the most influential Twitter users in your industry. You will be able to see metrics like how many tweets they have, how many people they are following, how many people are following them, how many days old their account is, and what their social authority score is. There is another feature that allows you to compare users using metrics like engagement rates, average followers per day, and average tweets per week. In the Track Followers tab, you are able to view analytics about your followers or the people that you follow. You can also see how your follower rate compares with your competitors. Using their analytics tools, you can find out a lot about the behavior of a particular user. You can find out their most active hours, the most used words of their followers, the location of their followers, demographic information of their followers and more. There is really so much you can do and see with this tool, but you’ll want to check it out yourself to see everything it is capable of. Google has many free tools that allow you to evaluate your website’s performance and analyze user behavior on the site. Google provides a free tool to test the mobile-friendliness of your site. You enter your site and it will give you three scores based on mobile friendliness, mobile speed, and desktop speed. For each category, you can view details that will tell you how you can improve your site in that area. 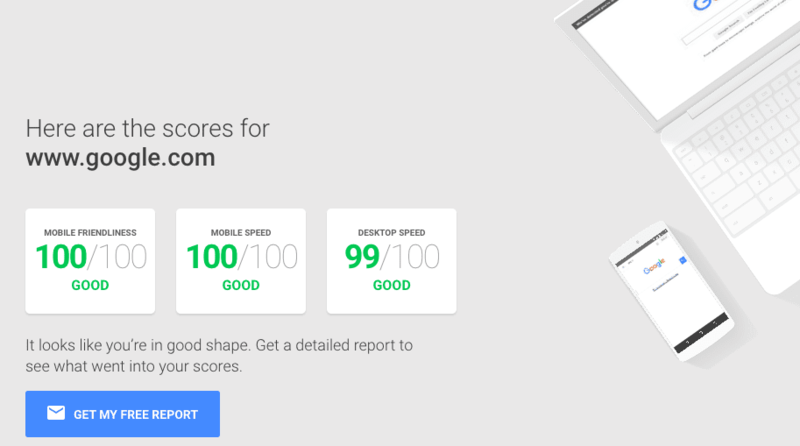 Google provides the PageSpeed Insights tool to test the speed of your site on desktop and mobile. Though the mobile friendly-test will give information about speed as well, this evaluation gives a little more detail. This tool also provides a score on user experience as well. When you enter your site into this tool, you will get suggestions of what you should fix, and Google will even tell you how to fix them. Google Analytics is a free tool that allows you to monitor your website and gather data to be able to make smart business decisions. With so many features, I could write an entire post dedicated to Analytics however, I will just focus on some key points. Under the Acquisition tab, you can view your traffic segmented by channel. Looking at your organic users, you can view the number of visits, the bounce rate, the number of pages visited per session, and more. Like Oliver said during the conference, it is incredibly important to compare your data year over year. When it comes to the internet, there are seasonal fluctuations. For example, during a holiday, you see web traffic drop to most sites. If you connect your Analytics to Search Console (which I will discuss in a moment), you will be able to view the search queries users entered to find your site, top landing pages, and more without having to log into Search Console. Another point Oliver made during Insight Lancaster was that you need to set up conversion goals in Analytics. Even if you don’t have an e-commerce site, you should still be measuring conversions. 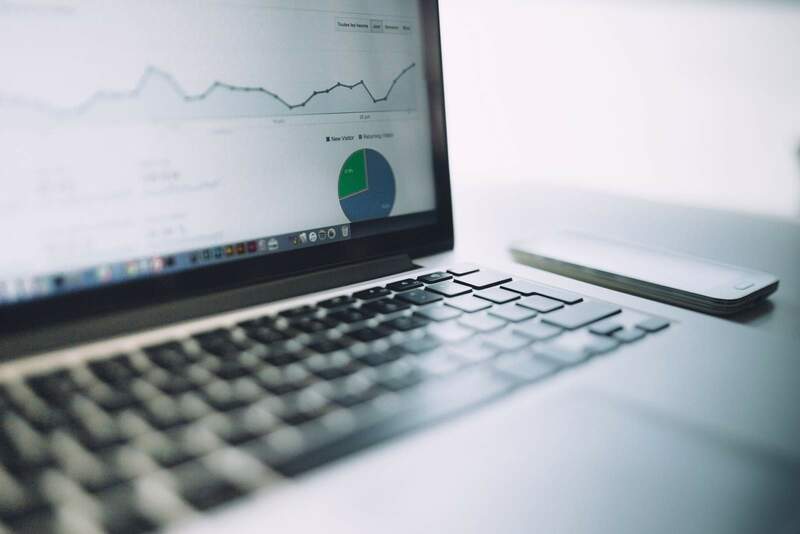 Even if you do not sell products on your site, you can still track other things such as page views, downloaded items, phone calls, or almost any quantitative or qualitative metric. 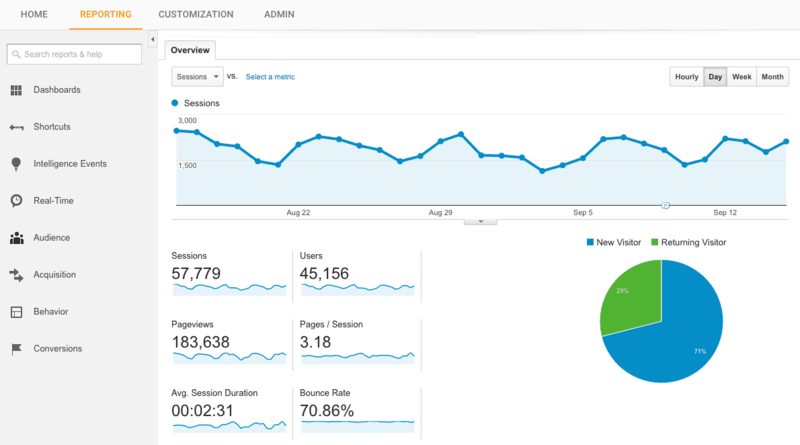 If you are new to Google Analytics, visit their help center. Search Console, formerly known as Webmaster Tools, is a free resource that will help you manage your website. Again, I’m going to focus just a few key points that will help you get started. From the dashboard when you log in, at a glance you can see if there are any important messages Google wants to tell you about your site. You can quickly view any site or crawl errors, as well as any issues with your sitemaps. Under the Search Traffic drop-down tab, you can view your external and internal links. You can view your most linked content and pages and see who links to you the most. Check the Crawl tab so that you can view any crawl errors your site may have. Search Console will tell you if you have any 404 errors on your site, which is something I mentioned during my presentation yesterday. You want to make sure you are paying attention to these errors so that you can fix them and create a better experience for your users. Under the crawl tab, you can also test your robots.txt file. Search Console will tell you if you have any errors in your file, and you also test any page of your site to see if it is blocked or not. You can also upload or check your sitemaps. If there are any errors or warnings, Google will tell you. I suggest logging into Search Console and exploring all it has to offer. The Search Console Help Center provides instructions and various resources to help you get started. Track 5 Media had a blast at the conference yesterday, and not just because Oliver and I spoke! On behalf of all of us, I would like to give a huge thank you to Lancaster Marketing Group (LMG) and all of the event sponsors for hosting the Insight Lancaster Marketing Conference. 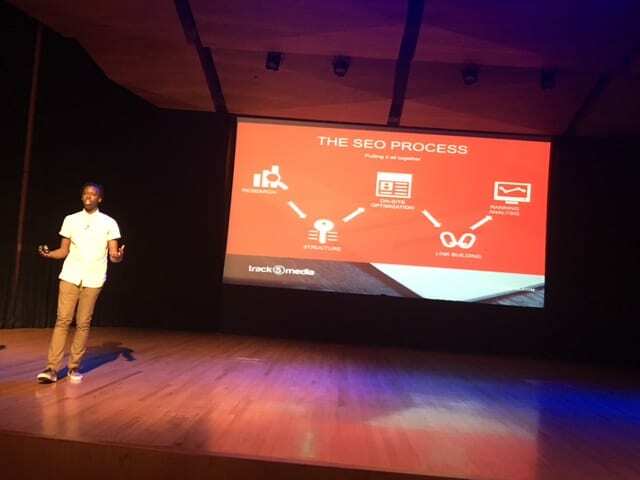 If you didn’t get a chance to listen to our presentation, please feel free to view our slides from our session, Leveraging SEO to Rank in a Competitive Market. This week we came across an article on The Ringer titled “A Short History of the Spotify-Apple Music Beef.” The article details the competition between both streaming powerhouses and it sparked a debate in the office over what the best streaming site is. Many of us remain “plugged in” throughout the day, listening to music on our computers and the staff had various opinions over who the reigns supreme in the streaming kingdom. In this two-party streaming race I’ve actually decided to go the “Gary Johnson” of music streaming services…Pandora. Now hear me out. I realize that Pandora isn’t the music streaming goliath that Spotify or Apple might be, however, I like to think I act a lot older than I really am. I don’t like change. I come home, watch Jeopardy every night, eat a bowl of ice cream, and listen to Pandora. I don’t need a fancy new iPhone or “exclusive” content. I want to throw on a random series of songs that I can enjoy. I’ve always been someone to grab my pickaxe and mine the Internet like a 49er looking golden nuggets of music. I then proceed to hoard those nuggets of music like a crazy person, convincing myself that I discovered them first and that nobody else is worthy of hearing them besides me. This yet another reason I enjoy Pandora – because new artists can emerge at literally any moment. As new technology emerges that could ban the recording of live music, it’s becoming more and more important for music streaming services to provide music at a moment’s notice. I’ll let Apple and Spotify slug things out while Pandora slowly and steadily becomes your favorite place to mine musical nuggets of gold. As a very active music listener, I’ve aligned with the Spotify music streaming crowd for some time now, mostly because it’s been around before Apple Music and Tidal (if it’s even worth mentioning.) In most cases, I’m able to find all of the music I need with Spotify and more. Unlike Apple Music, Spotify does still have a free version with commercials here and there. Recently, Frank Ocean’s Blond had me mooching off my sister’s Apple Music account — only to block me once she started listening on a separate device. This still happens with Spotify if the music is streaming, but otherwise if the files are downloaded and saved there isn’t much of an issue. Plus, I really enjoy Spotify’s black and green interface — it’s refreshing and much easier to look at than other platforms I’ve seen. Whether Spotify is actually surpassing Apple Music-exclusive artists seems unlikely, but then again I might do the same thing if clients started choosing a competitor for their releases. Spotify, just get Frank Ocean’s new album up for me and we’re totally good. I say all this in hopes that other Apple fanatics will not read this and see me as a traitor, but I’m going to say it: Spotify is a way better music streaming service than Apple Music. There I said it! Do with me what you want, but first let me tell you why. If I had to choose one reason in particular, it would be that Spotify’s user experience is absolutely phenomenal. When I want to quickly queue up songs, on the mobile app I can simply swipe right on the song to add them up next. If I queue up something that I don’t want to hear, I can easily swipe left and remove a song from the list. Spotify has an amazing Discover Weekly playlist that changes, yes you guessed it, weekly. Depending on what you’ve been listening to, it will give you a whole new list of songs that you’d probably like. I have found so many artists that I would have never found without Spotify. I can easily create playlists and send them to my friends, or follow their playlists. I can plug my speakers into my computer, and as long as I’m on the same wifi network on my phone, I can still search, play music, change songs, or change listening devices right from my phone. This is an awesome and easily accessible feature that is great for parties, or lazy Sunday afternoons. I even tried Apple Music when they gave out the three-month trials. While it’s “pretty” (as all Apple products are), the interface leaves much to be desired. It takes at least 2 touches to be able to queue a song up. The “radio stations” Apple has have never led me to discovering new music. I don’t think Apple ever gave me a suggestion that I actually liked. Beyond that, when you use Apple Music, yes you can save the songs and such to your phone to access offline, but when you stop using Apple Music, you lose all that. After I ended my trial I had to say goodbye to all the music on my phone, my playlists were gone. I’m not sure if this still happens, but once was enough to let me know I would NEVER use Apple Music again. I’m still #TeamApple, but Spotify will forever have my heart.